My daughter’s friends had one of those at her baby shower last year. They made it themselves! Now that’s talent! Yep. They made this too AND the mamma to be made the cake! It was delicious. 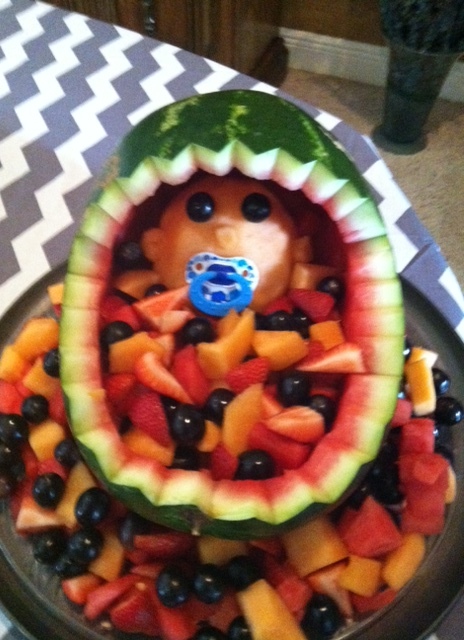 What an adorable, (and healthy), offering for a baby shower…I love it. I hadn’t seen one of these. What a great idea. I thought it was adorable â I was at a shower on Saturday and loved it. Aw, so cute. Wish I knew somebody who was pregnant so I could share this idea with them. I love it. So clever.